Společnost pro podporu lidí s mentálním postižením v České republice, z.s. (SPMP ČR) is an organisation for support of people with Intellectual Disabilities in the Czech Republic. We are a nationwide non-profit organisation defending the rights and interests of people with intellectual disabilities and their families. We have currently more than 8000 members active at national, regional and local levels. Our members are people with intellectual disabilities, their families and friends, service providers as well as other professionals. Our membership organisations are located in all regions and principal towns of Czech Republic. SPMP ČR is a member of the National Council for disabled people and the Czech Council of humanitarian organisations. At International level, we collaborate with Inclusion Europe and Inclusion International as well as other NGOs. We primarily provide educational activities for children and adults with intellectual disabilities, as well as for people who live or work with them. We lobby for the improvement of the quality of social services and we support the deinstitutionalization process. We also support the development of the self-advocacy movement: people with intellectual disabilities who are speaking for themselves and fight for their rights and interests. We transpose important information into easy-to-read language for people with intellectual disabilities in order to enable them to access this information. We are for example the authors of the easy-to-read version of the UN Convention on the Rights of Persons with Disabilities in Czech language. We come up with proposals and comment on the laws related to the life of people with intellectual disabilities and their families. We lobby for the meaningful implementation of the UN Convention on the Rights of Persons with Disabilities in the Czech Republic. Inclusion Europe has 67 members in 37 European countries. We fight for equal rights and full inclusion of people with intellectual disabilities and their families in all aspects of life. Our membership network over 37 countries, and the possition in Brussels, gives us unique perspective and opportunities – at the same time being able to learn from all members accross Europe, and to share with them good practice, examples and other information. In doing so, we are capable of reaching to national level in all of those countries. Inclusion Europe has 5 full time staff members and 4 part time. We also reach out to experts across Europe whenever such expertise is needed. Polský svaz pro osoby s mentálním postižením (PSONI) works for the benefit, and on the behalf of persons with intellectual disabilities living in Poland, their parents and legal guardians. Parents whose children have been diagnosed as persons with learning disabilities, wish to give them a new reality, providing new opportunities. This perspective applies to all; toddlers, teenagers and adults. It is not the parent/carers intention to give them an all-round permanent assistance but rather to provide opportunities that would enable them to develop physically, cognitively and socially, so as to allow them to have an active, autonomous and normal life within the society. The main aim of Association is to include people with specific needs – people with learning disabilities in real life. PSONI consists of over 11,000 members, having more than 120 local branches. Polytechnický institut Santarém is an institution of public higher education (tertiary level) that began its activity in 1979 and consists of the following Schools: Agriculture, Sports, Education, Management and Technology and Health. The Higher School of Education of Santarém (ESES) was created by Decree-Law No. 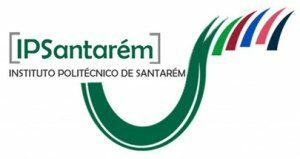 513-T/79 of 26 December as the organic unity of the Polytechnic Institute of Santarém and is an institution of tertiary level, aimed at teaching, research, service to community and collaboration with national and foreign activities of common interest. Attended by almost 700 students, is currently operating the degrees of First Cycle of Basic Education, Childhood Education, Social Education, Cultural Animation and Community Education, Education and Communication Multimedia and Visual Arts and Multimedia. The ESES have got previous experience from Leonardo Da Vinci and Erasmus + projects and many other European and domestic programmes. The school community realised that involvement in Erasmus + programmes broadens horizons, develop the mind and allows young people to become true European citizens with an understanding of other cultures and education systems. Association Regional Centre for Persons with Intellectual Disability PORAKA NASA is a voluntary non-profit, non-governmental, non-partisan, independent, parental civil association formed by free association of citizens in order to accomplish care and align with their interests and beliefs to promote civil society and local communities, as well as for performing activities for encouraging moral values, strengthening inter-ethnic relations and the economic development of the territory of the Republic of Macedonia and abroad, and in accordance with the Constitution and the Law. Association regional center for persons with intellectual disability PORAKA NASA is representing the rights and interests of people with intellectual disability and their families in the realization of human rights for persons with intellectual disability regardless of ethnic and religious affiliation. 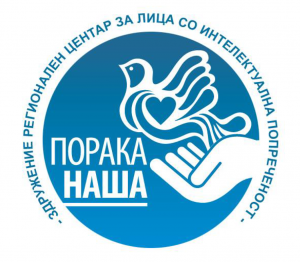 PORAKA NASA was established in 1966, and with the adoption of the Law on Citizens’ Associations and Foundations was reregistered in 1999 and in its long action has as a mission for equal participation of persons with intellectual disabilities in civil society through the realization of their economic, social, cultural, educational, sports and other rights. Association Regional Centre for Persons with Intellectual Disability PORAKA NASA Kumanovo counts round 900 members. Advocacy for improving existing laws or introduce new laws, bylaws, national and local strategies and programs, advocacy for changes to regulations to improve the lives of people with intellectual disabilities and their families. Participation in the prevention and removal of barriers in physical and social environment. Training and capacity building, organizing training for civil society, local government and institutions responsible for the rights, needs and abilities of people with intellectual disabilities. Research, data collection for the current situation of persons with intellectual disabilities and their families locally and nationally. Efforts to adopt a single register of people with intellectual disabilities in the municipalities of Kumanovo, Lipkovo and Staro Nagoricane which will include people with intellectual disabilities by age, gender, category, place of residence and other data. Promoting activities of relevant bodies and organizations to successfully address the question of people with intellectual disabilities and their families. Advocacy, protection and respect the rights, interests and abilities of people with intellectual disabilities and their families at local, regional and national level and wider in other countries. Connect with other related organizations in the country and abroad and implement joint projects. Promote the consistent application of all adopted international documents relating to the exercise of human rights and the rights of persons with disabilities, especially people with intellectual disabilities. Organizing a network of support services for persons with intellectual disabilities and their families of the Association. Providing support and create opportunities for self-help and charity. Coloring and the initiation of volunteering as an integral part of the Association. Applying the methodology of planning directed toward the person and planning directed towards families of people with intellectual disabilities. Organizing of sports, cultural and other events to raise public awareness of the needs, possibilities and potentials of persons with intellectual disabilities.